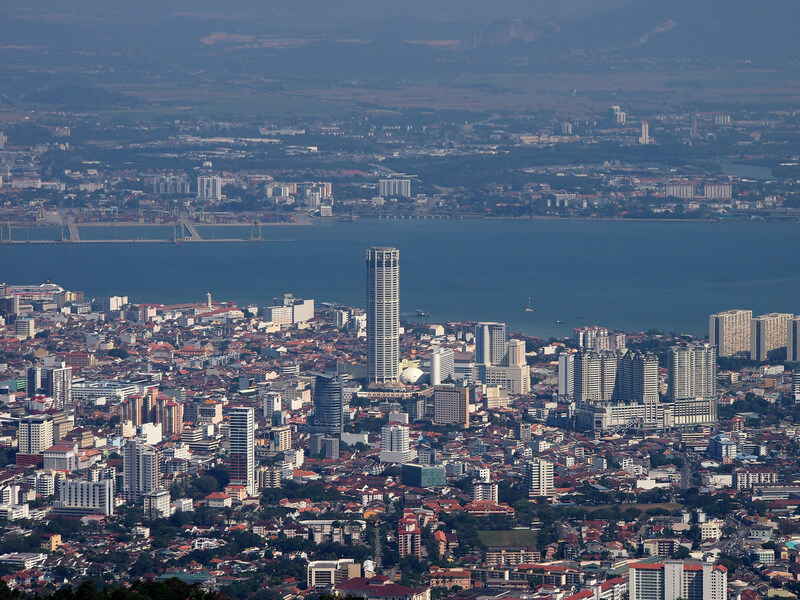 Situated in the northwest coast of Peninsular Malaysia, Penang, “The Pearl of the Orient” is a highly urbanised and industrialised state with increasing property development. Maintaining its historical and cultural elements, Penang properties can be pictured to have a fine balance between the foundation of the past and the advancement of the future. Its tourism sector is thriving and it is one of the most developed and economically important states in the country. Once navigated across the Penang Bridge, the selections of destinations are endless – from serene beaches to the progressive state capital, Georgetown, a UNESCO heritage site. With everything in its favor, naturally Penang’s property sales values have tended to appreciate in recent years. Prime property areas include beachfront properties situated on the Northeast of the island – Batu Ferringhi, Tanjung Bungah and Tanjung Tokong. YTL's recent expensive shorefront was notably received well beyond expectations, thus signifying strong demand. Tanjung Tokong particularly shows an increasing rate of construction of apartments and condominiums. Rent and sales of these units are especially high among foreigners. Its close proximity to the Dalat School and The Uplands International School of Penang attribute to this fact. The Penang Branch Campus of Tunku Abdul Rahman College (TARC) is also located here. Apart from that, Pulau Tikus located in central Penang is also a prime upcoming property area on this Island. Luxury condominiums and apartments here include the Silverton, which lie along Gurney Drive. Other properties in Penang consist of commercial spaces and landed properties such as office blocks, shop-office units, industrial lots and housing projects, which are booming in sales. For food lovers and shopaholics Penang is undoubtedly an ideal place to live. From flea markets and pasar malams (night markets) to modern shopping malls, its indulgences cater to the traditional and modern consumer. Just to name a few, Lorong Kulit, Rope Walk flea market, Campbell Street, Little India, Gurney Plaza and Queensbay are popular options. Penang nightlife is one to rave about. Bora-bora by Sunset, Hong Kong Bar, 360 Skybar, and Dadz Pub are among the long list of party heavens located on the island, which appeal to both the locals and the expatriate community. For the faint of heart, as previously implied, Penang can indeed be a beach paradise. Swarmed with beach lovers from all parts of the globe, Batu Ferringhi offers a pleasant breather for anyone tired with the rush of the town. If you don’t already own an apartment along the stretch, just check yourself in at any of the multitude of resorts that line the coast. The afternoon sun and the remedying sound of the waves indeed emulate a paradise. In terms of transportation, Penang is suited with an elaborate bus service known as Rapid Penang. Its services include 150 buses covering 28 routes on the island and mainland. In addition, further growth in development of property is soon expected with the Malaysian Government-proposed Second Bridge Link, monorail, and Penang Outer Ring Road.